I love cooking all year, but there’s something extra special about whipping up stuff for Christmas. The mix of tradition, comforting smells, and time with family is the perfect combination for the holiday season. One of the things that my family has done for many, many years is to have some kind of pasta dish for Christmas dinner. This year it’ll be lasagna, though in past years we’ve made homemade ravioli when we had time. (Hmm, I wonder if I should veganize that?) And nothing says “comfort food” in an Italian household like a big dish of baked pasta smothered in homemade pasta sauce. This recipe uses canned tomato products, but of course if you have the equivalent amount from your own home-grown tomatoes, by all means use that instead! And just warning you…you’ll wind up with a lot of sauce to use for Christmas or whenever you’re in the mood for pasta. 1) In a large saucepan, heat the oil over medium heat. 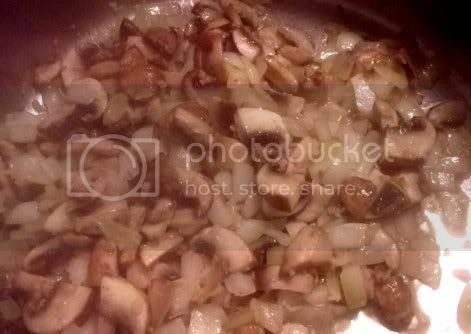 Add the onion and garlic, cover and cook until softened, about 5 minutes. 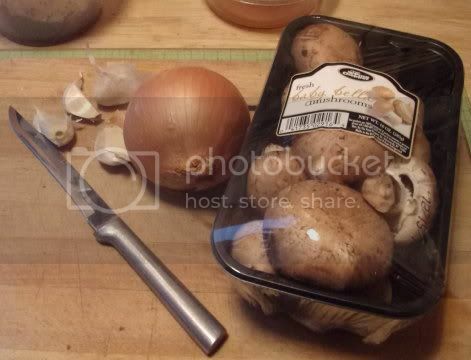 2) Add the mushrooms, cover, and cook until reduced in size, 3-5 minutes. 3) Add the puree and crushed tomatoes, stirring well. Add a small amount of herbs to your liking and stir again. 4) Cover partially so that steam can escape, reduce the heat to low, and simmer for a while, stirring occasionally. 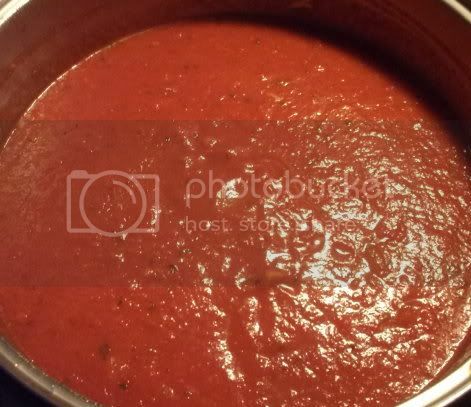 This is largely a matter of preference; this sauce can be cooked all day if you have time. 6) When you’re ready, add the rest of the tomato sauce, the tomato paste, and more herbs to taste. 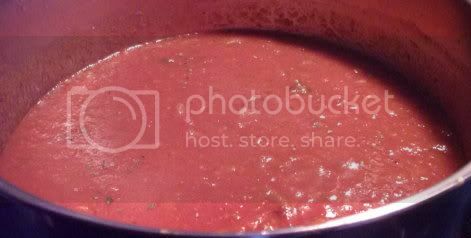 Stir well until the tomato sauce is incorporated. Replace the cover and simmer until ready to serve. 7) Just before serving, taste and adjust seasonings as necessary. This sauce freezes well or can be canned if you wish. We’ve been making it in my family for as long as I can remember, and it’s delicious in lasagna and baked ziti or over any pasta of your choice. Question for the comments: Is there a traditional Christmas dish in your family that you’ve either already veganized or are planning to make vegan?